There’s nothing worse than coming down sick from drinking unfiltered or poorly filtered water. The average water filter, depending on the water filtration method, lasts anywhere from 3 to 6 months or as much as 3 years. The reason water filters wear out and need cleaned or replaced is because over time the debris and contaminants from your water build up and they are no longer able to filter effectively without being cleaned or replaced. Although there are some really good water filters and water purifiers on the market today, prefiltering drinking water can not only improve your water quality but can prolong the life of your water filters. Prefiltering your water is especially important if you are trapped in a survival situation where your water source is really dirty and filled with debris. Water filters can be portable, like a LifeStraw or Sawyer Handheld, or in your home they can be a water pitcher, installed under your sink directly connected to a water line, faucet-mounted, or countertop coolers connected to your faucet. There are many different methods of water filtration. Some water filters use a single method of filtration, whereas other water filters use multiple methods to filter water. Water filters are designed to remove impurities from your water and thus make it safe to drink. Even the cleanest mountain spring water can become contaminated by things such as leaf debris, glacial sediment, silty water, decaying or dead animals, or even a rainstorm that stirs up the mud. Help chemical water treatments work better. Clean unclear or murky water before using a UV water purifier. By now, just about everyone knows the importance of clean drinking water to human survival. It is one of the primary things that you should plan for whether you are traveling across the countryside, hiking in the woods or even just going for a run in your neighborhood. Without fresh, clean drinking water, you put your health and your life at risk. Water filters come in all shapes and sizes and many of them do a great job of removing impurities from your water and making it safe to drink. But even the best water filters need a little help to keep them working effectively. There are many, many different things that you can use to prefilter water. What you use will depend on where you are, what you have available to you, and what kind of water filter you have. Shoe store nylon footies like the ones you’ll find for free in a shoe store can be used to prefilter your drinking water. Simply fit the nylon footie over the end of your straw filter or other water filter method. You can also let the water drip through the footie and down into your second container and then purify it. The footie will remove bugs, dirt, and other large debris and will help prevent your water purifying straw from clogging up. Pantyhose work very similar to the nylon footies you find in the shoe store only pantyhose made of a tighter, finer mesh which means even smaller particles are filtered out. 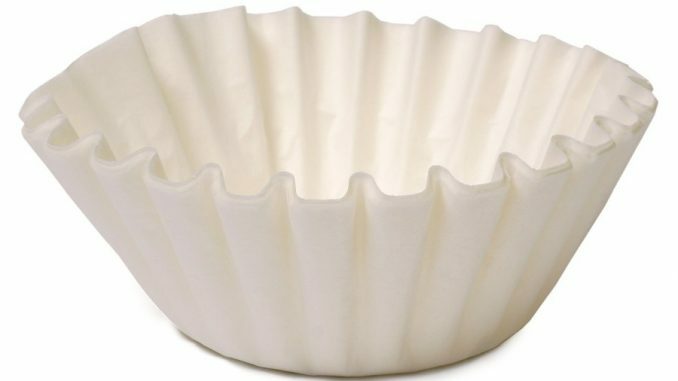 Coffee Filters make great prefilters for drinking water. It removes a lot of the larger debris and particles from your water. It’s easy to use because all you have to do is pour the water through the coffee filter and it does the work for you. Coffee filters are lightweight and won’t take up much space in your backpack. To use a coffee filter with straw-type filters, simply attach a piece of the filter over the end of the straw using rubber bands. Bandanas are another way to prefilter your water to remove any large debris or contaminants from the water. Using a bandana to prefilter your water helps to prolong the life of your water filter by increasing the length of time between backflushes. Cheesecloth can be used as a prefilter for your water too. Simply allow the water to drain through the cheesecloth into your Sawyer filter or another container. Once you’ve strained the large debris and particles from your water, you can use the water purifying method of your choice. Standard Fish Tubing and Fish Bubblers can be attached to a simple syringe to prefilter water from a puddle or other poor water source. The fish bubbler prefilters the water as it is pulled into the tube and to the syringe. Use the syringe to push the water into your Sawyer pouch or other water container. Once your container is full, you can use a water filter to further purify the water for drinking. For those who don’t have the DIY gene or if you simply want a better quality prefilter to prolong the life of your water filter, you can buy a prefilter in the store. We’ve listed several different items below that have been used to prefilter water by other preppers. 1 Micron Filter Bags designed for industrial filtration are a great way to prefilter water and prolong the life of your water filters. Typically made from polypropylene or a polyester mix, these bags are designed to filter out very fine particulates. Because these filter out very fine particulates, in a pinch you could skip using a water filter and simply boil or chemically purify your water prior to drinking it to remove any viruses and other contaminants. Alum powder (Aluminum Sulfate) can be used with murky or muddy water to prefilter it. The Alum reacts the particles in the water and causes them to settle to the bottom as an almost gelatinous substance. Pour the water off the top through your water filter, leaving most of the sediment on the bottom. Filter Bags are heavy canvas bags designed to filter the sand, mud, and other debris out of your water. These bags do not purify water. Water that has been filtered through a millbank bag will still need to be filtered using a water filter or boiled or purified using a chemical method. Be sure to thoroughly soak the bag in water, massaging it and squeezing for at least 5 or 10 minutes. If you don’t soak the bag, it could take hours for water to filter through. Millbank filter bags are rare so if you can get your hands on one of these, hang onto it. Inlet Filter Screens made for Pressure Washer Pumps fits fairly tight and works well with the Sawyer Squeeze. The inlet filter screens have better flow and less waste than using a coffee filter. Which method to prefilter water have you already tried? Do you have a favorite way to prefilter water that we didn’t mention above? Let us know in the comments below.